Get lost. 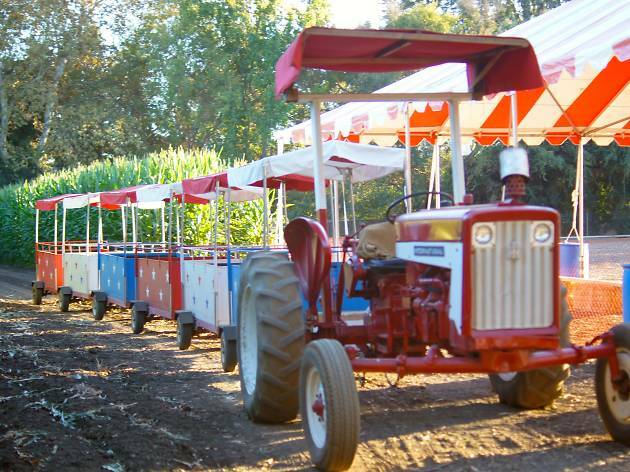 No really, get lost in Tapia Brothers Farm’s epic corn maze (an entire lot across from the patch itself) with a much-needed map and a sheet full of trivia questions. Scavenge through the maze for the answers and once you've found them all, submit your name in a drawing for a chance to win $100 cash—an early treat for your navigation efforts. 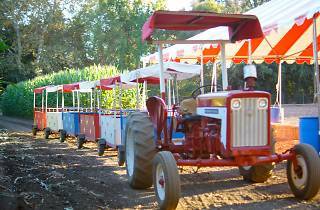 The festive pumpkin patch also offers—you guessed it—pumpkins galore, as well as a fresh farmers’ market (with addicting kettle corn), a mouth-watering roasted corn stand, kids play area, bounce houses, hay wagon ride, tractor-pulled train and weekend-only pony rides.